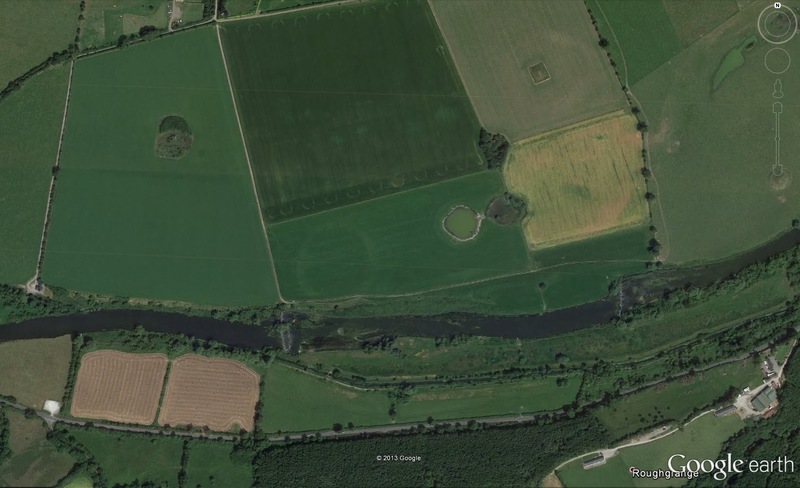 The partially destroyed henge known as Site P, one of a number of henges in the Boyne Valley near Newgrange, is clearly visible in new imagery on Google Earth. Google recently updated its imagery of the Boyne Valley area. This satellite image was taken in July 2013. The henge is clearly visible as a crop mark near the Boyne river. It is located immediately west of a double “ritual pond” feature and is one of a large number of monuments in the Bend of the Boyne. For a map and information about all these sites, see Mythical Ireland’s Boyne Valley Ancient Sites Interactive Map.